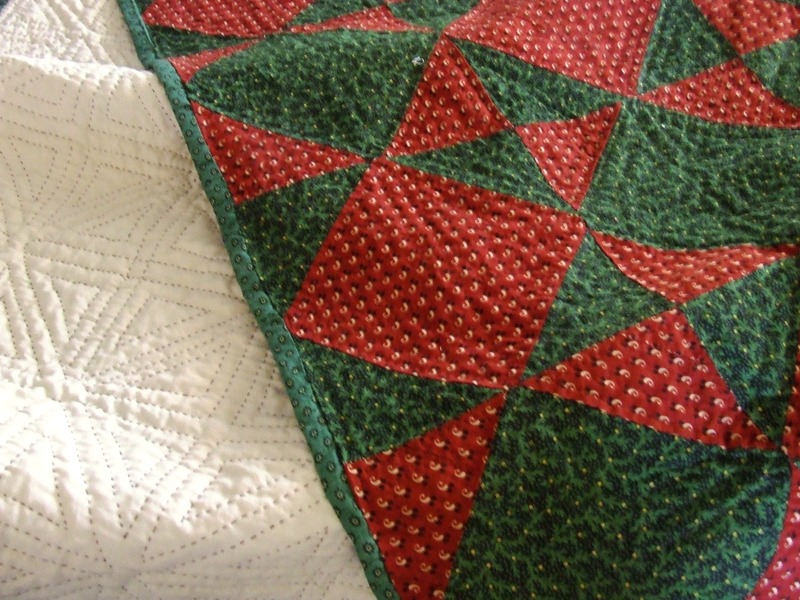 One of my quilting goals is to make a Christmas quilt every year. 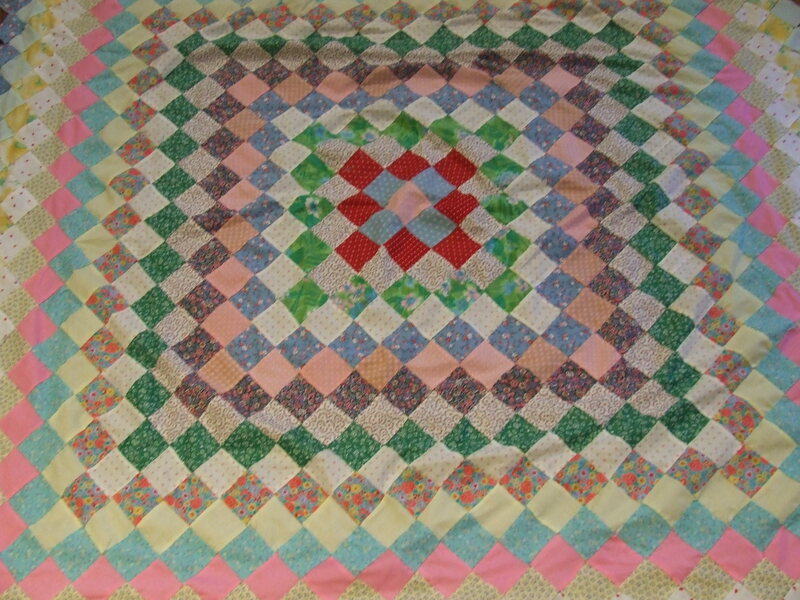 Here is the quilt from 2 years ago. 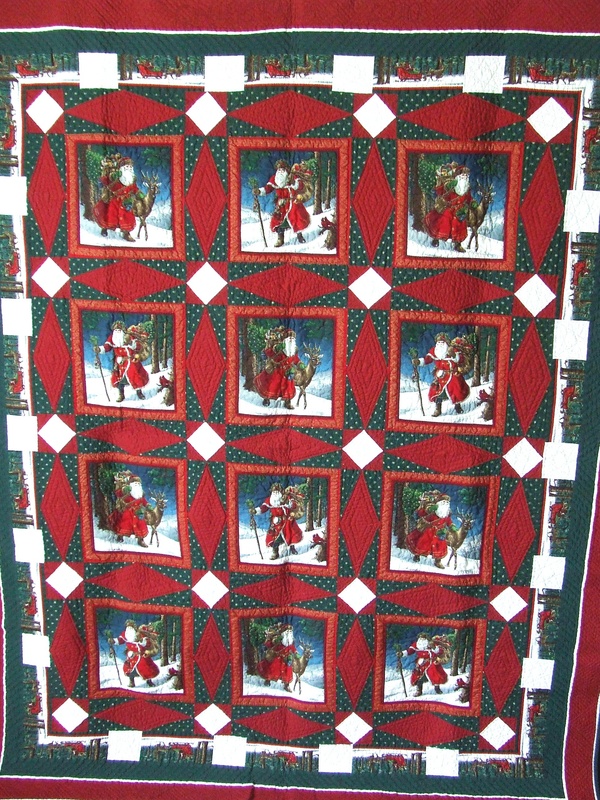 I designed the quilt using a panel of vintage Santa fabric and then did a lot of hand quilting. 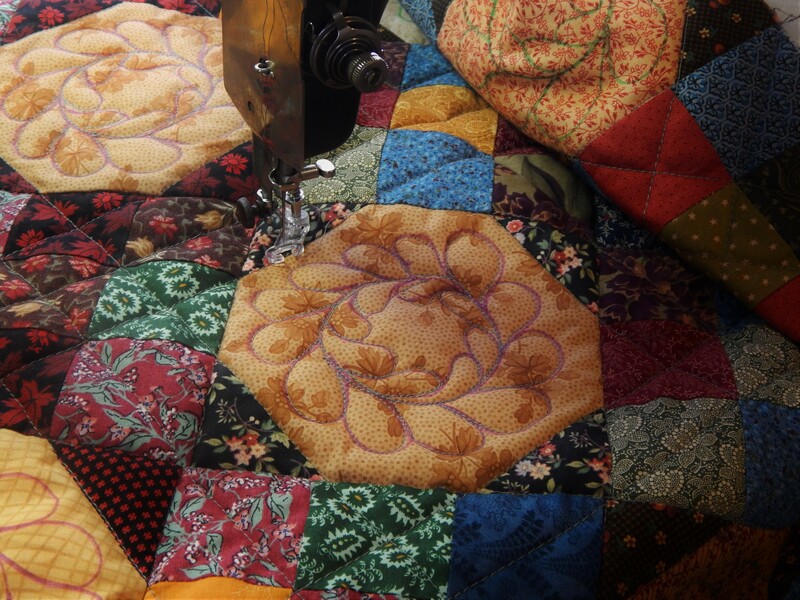 Last year I hand quilted an antique top that I had in the collection. I have an applique project that I started a while back (partridge in a pear tree). 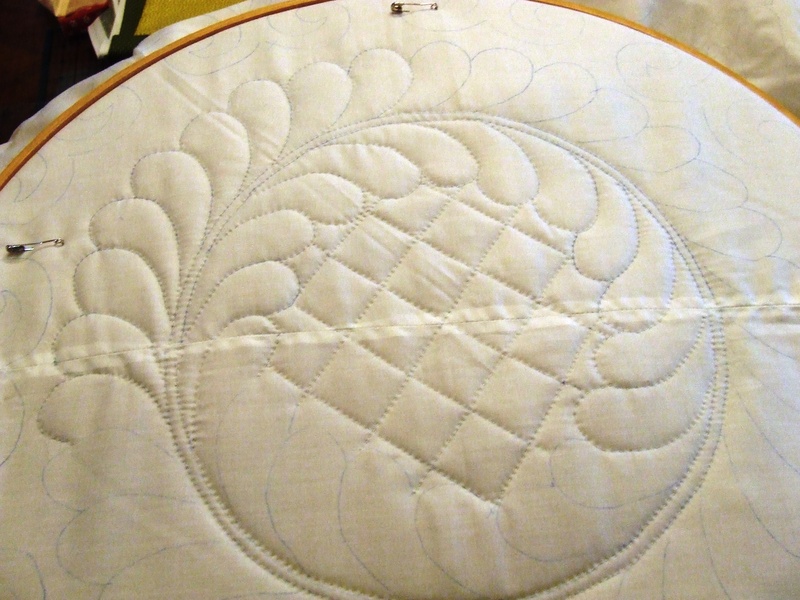 I started the applique and then set it aside for some other projects. I was sure that I would have plenty of time to finish it by Christmas. I realized that it is already October! 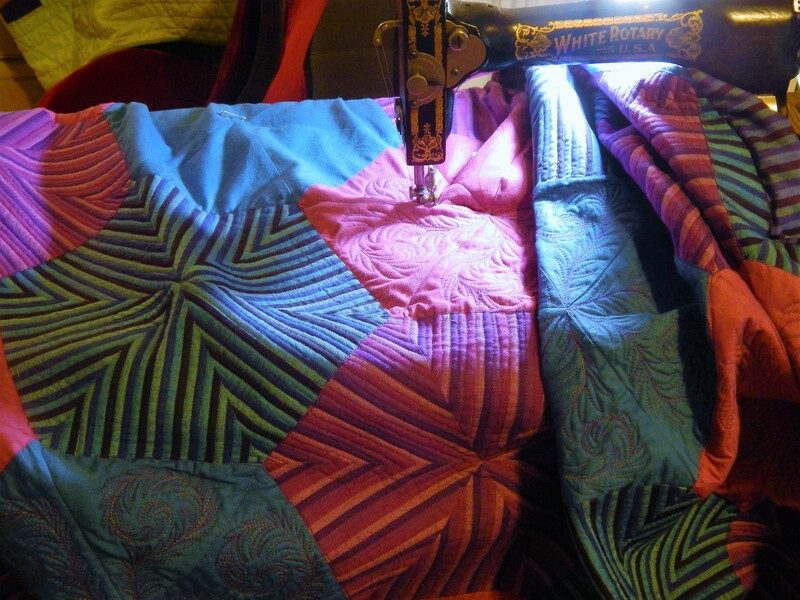 and I am so involved in other quilts that I don’t think that is going to happen. I went all out and spent $12.95 on the lot. 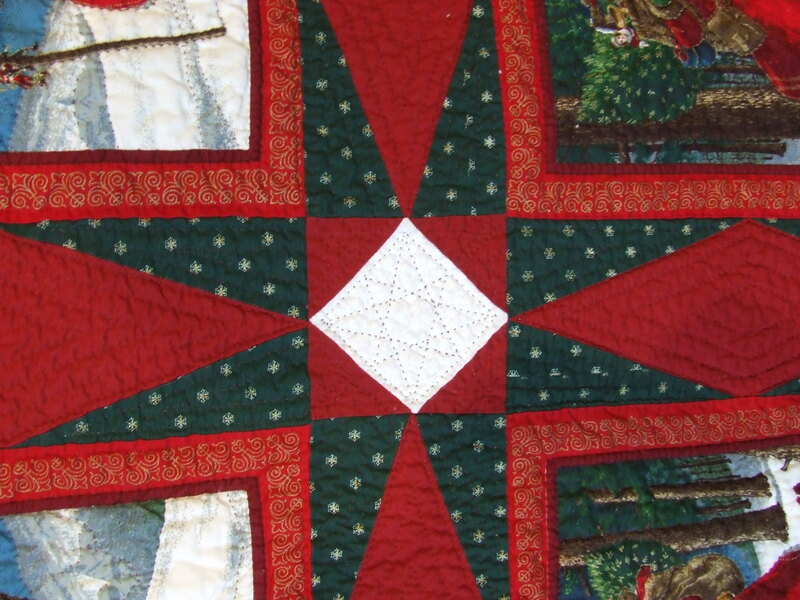 I plan to quilt the Christmas table-cloth. 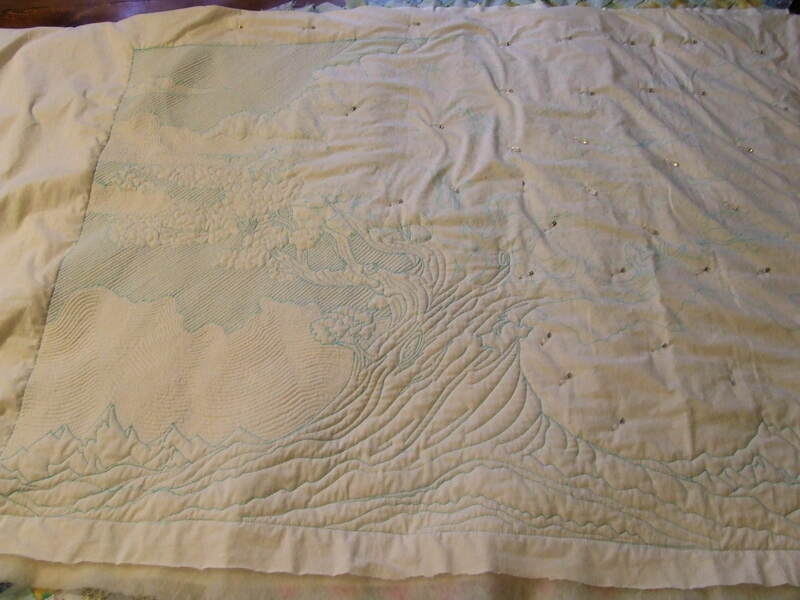 I will add a border of some kind to make it bed sized. 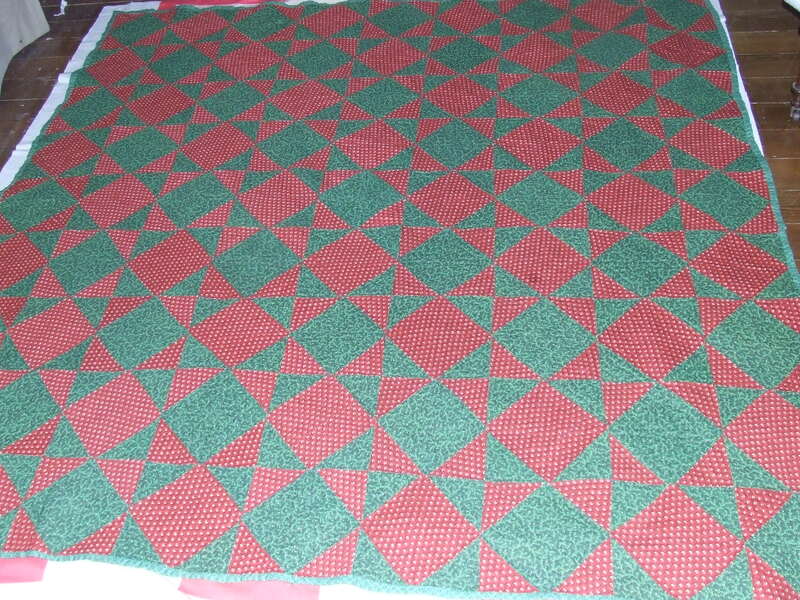 I think it will make a pretty neat quilt, and it wont take very long to finish. 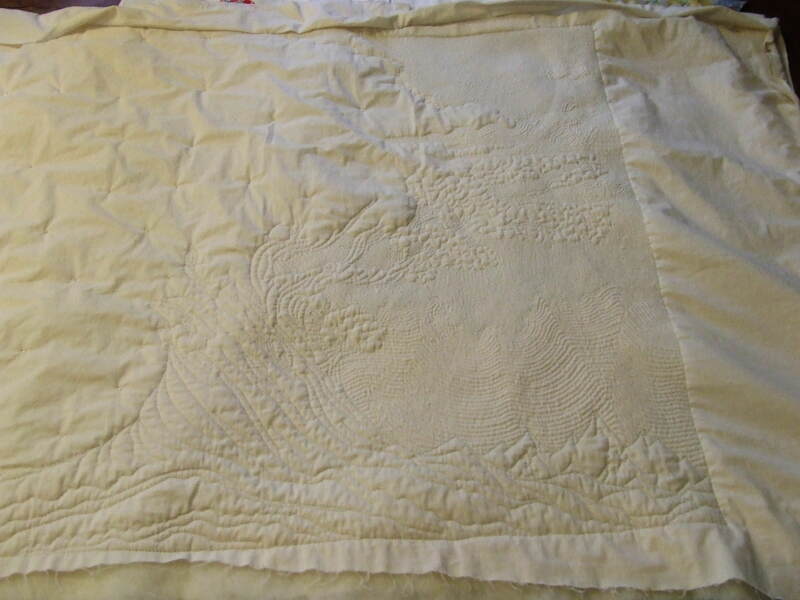 This entry was posted in Quilts and tagged hand quilting, Quilts, table-cloth quilt, tree of life quilt, vintage quilt. 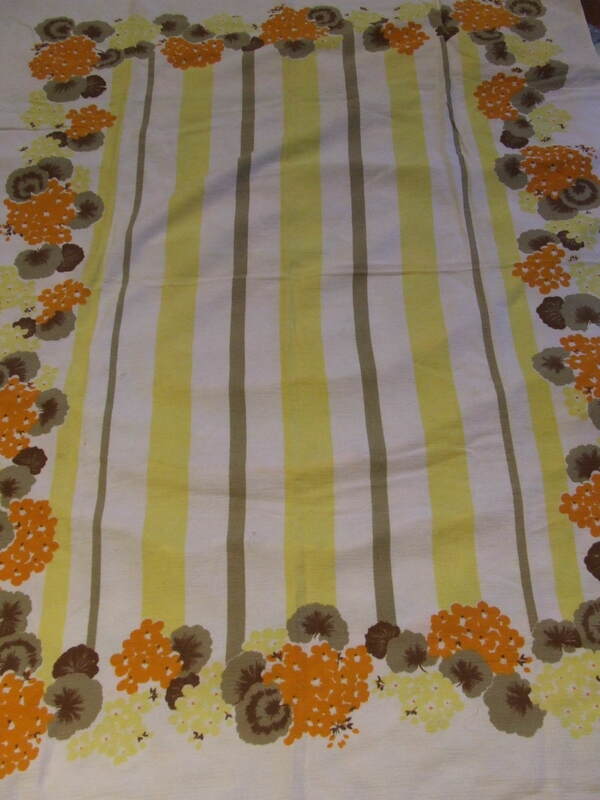 That IS a 50’s tablecloth….I’m pretty sure we had one just like it, when I was a little kid. 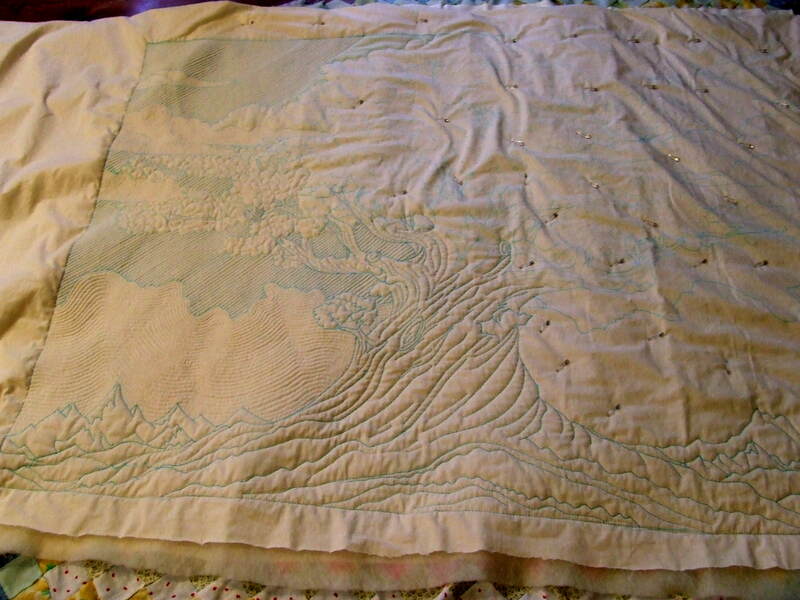 The Tree of Life quilt really looks amazing! I’ve enjoyed following your progress with it. 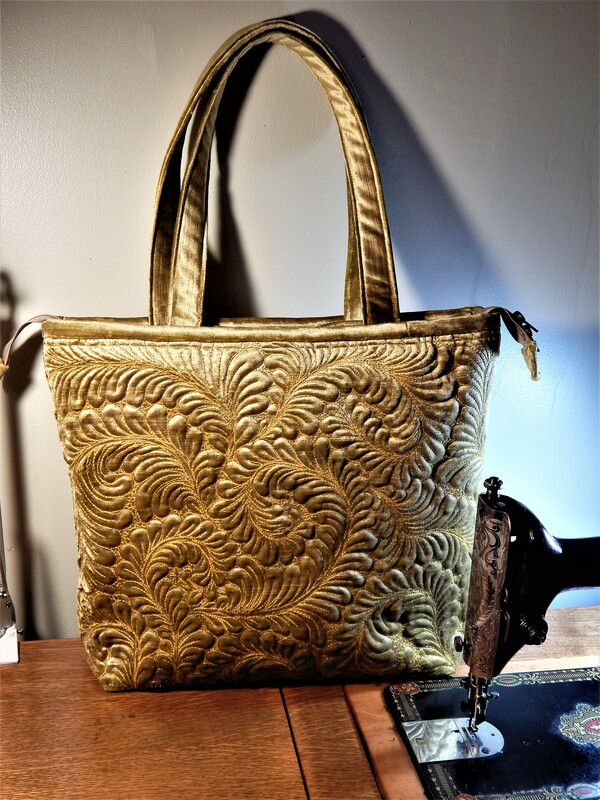 Beautiful Christmas projects, past and future! And of course, that Tree of Life is so gorgeous! Looks like you’re past the half way mark! Woohoo! It’s really going fast! 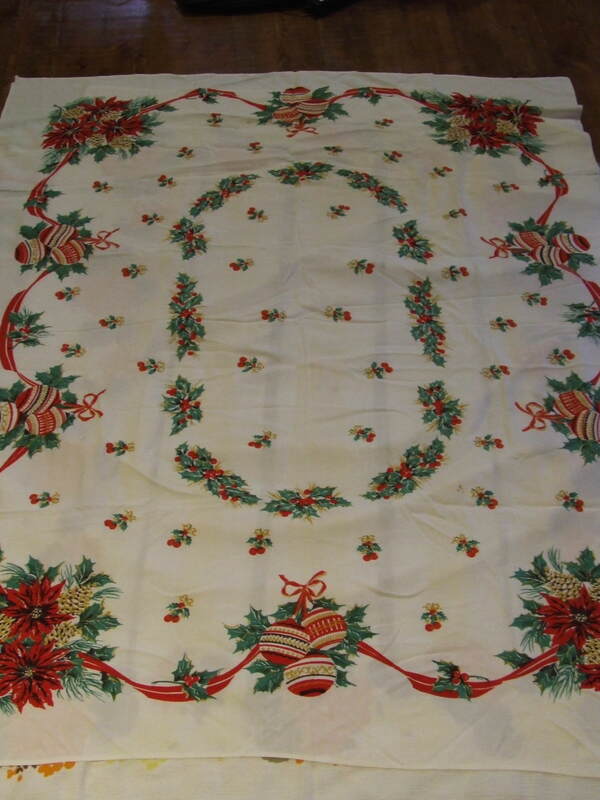 Some pretty poinsettia fabric would make a pretty back and border.